All Saints’ Day is a Catholic holiday, celebrated on November 1, during which the Catholic Church honors all known and unknown saints. The liturgical celebration begins on the evening of October 31st and ends on November 1st. It is preceded by a day in commemoration of the faithful departed. This All Saints celebration is a way of explaining that Christians belong to a great chain of believers. This day is born out of the belief that there is a powerful spiritual bond between those in heaven and the living, making it a national holiday in many historically Catholic countries. All Saints’ Day has long been celebrated in the vicinity of Easter and Pentecost. This link between these two great feasts is what gives the original meaning to all the saints, since it is lived with the hope of resurrection. The tradition we have in Spain today is to visit the place where loved ones lie to visit and accompany on that day people who remember and are no longer there. 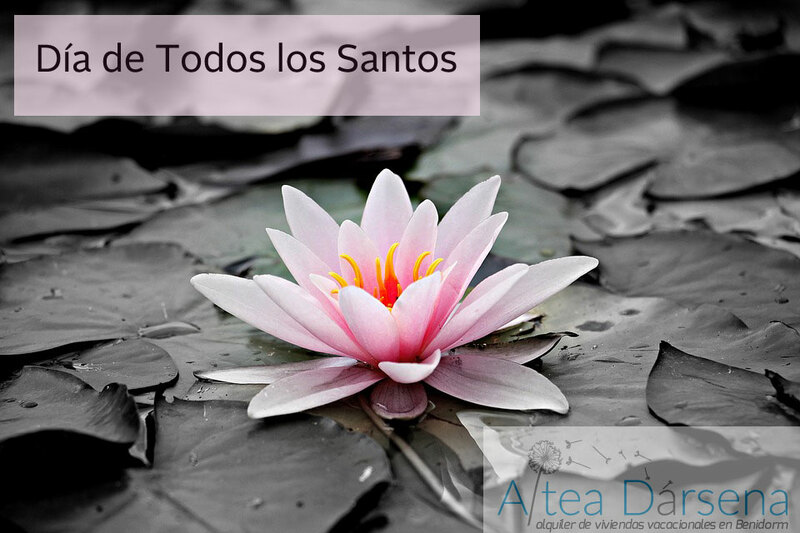 On this day, most of the sacred fields have open days, as people usually come to decorate the tombstones so that they look beautiful in their day, because one of the greatest traditions on this day is to decorate all the tombstones with flowers, light candles at night to light, pray and stay with loved ones. The celebration of this day begins and ends with the affection, love and memory that is kept to loved ones. If you are going to spend All Saints night in Benidorm, in Altea Dársena apartments we provide everything you need making your stay a place like home. We offer dreamy nights, embraced by tranquillity and relaxation, with views and sounds of the sea. Altea Dársena provides all the necessary facilities so you don’t have to think about anything. During your stay you will have wiffy and free parking. 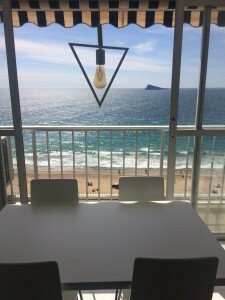 Altea Dársena Holiday Apartments in Benidorm. Amazing apartments with sea views in the best area, in Levante Beach. This accomodation, is perfect for families or couples to want relaxing, sea views, peace and confort. All facilities, the apartments are full equipated, in our holiday apartments you can find your home. The best sea views you can have in Benidorm. You will enjoy the sea like never before! Come to Benidorm and enjoy the best experience. We are waiting for you at Altea Dársena Benidorm Apartments.